In my experience at London Doctors Pharmacy, we have found that many people get the two confused (I’m also looking at you Man-Flu sufferers). Whilst a cold and flu are both viruses and share a couple of common symptoms, flu is much more serious. These symptoms can come about very quickly. Flu can be associated with severe conditions such as pneumonia if not treated properly when needed. These symptoms may develop over one or two days. You may also have a slight fever. 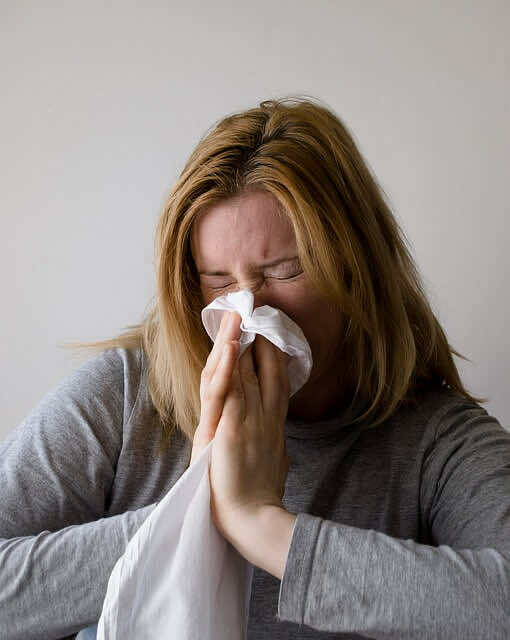 Colds generally do not result in serious health problems. There are too many cold viruses, around 200, for there to be a vaccine against a cold, however a flu vaccine is available, which you can get from your private GP London Doctors Clinic. A flu vaccine is critical for someone who is pregnant, a child, elderly persons or someone with lung conditions such as asthma or COPD. Even though there are only three viruses that cause the flu, you will need to get a flu vaccine annually as different strains emerge. Getting vaccinated is the best way to avoid catching the flu during flu-season! Always cough or sneeze into a tissue and throw this tissue away immediately. Washing your hands as soon as possible or using a hand sanitiser. Wipe down surfaces that could be contaminated such as doors. It is important to get plenty of rest and drink a lot of fluids. If you’d like to speed up the process of recovery then there are many Over-The-Counter medicines specifically created to treat a cold or flu. For a dry cough you can buy a preparation that contains dextromethorphan, this is a cough suppressant or for a chesty cough (one that produces phlegm) you can buy a preparation that contains guaifenesin, this breaks up the phlegm to make it easier to cough up. NOTE: if your phlegm is yellow/green then you must see your doctor as this may indicate a chest infection. A headache or any aches and pains can be treated with, paracetamol, aspirin or ibuprofen. Paracetamol can also be used to lower a fever. To unblock a stuffy head, ears or nose you can take a medicine that contains pseudoephedrine or phenylephrine which comes in a tablet form. If you’d prefer to use a nasal spray then this is also available with drugs such as xylometazloine or oxymetazoline. A sore throat can be treated by gargling salt water or you can buy lozenges to soothe the discomfort. There are also medicines that contain an anaesthetic which will numb the throat, these can come in a throat spray or a mouthwash which you gargle. Antivirals are available for a flu, which you can obtain from your affordable private GP. Please remember that antibiotics do NOT treat a cold or flu as these are viral and antibiotics are for bacterial infections. N.B if you suffer from any long term medical problem such as diabetes, thyroid, asthma and high blood pressure please consult your pharmacist or doctor before buying any Over-The-Counter medicines. If a cold/flu sufferer is 6 or under then the medicines that can be sold is very limited. You should speak to your doctor or pharmacist regarding your full medical history.